I hope that everyone is staying warm! A HUGE thank you to Natasha Grover and all of the amazing staff and volunteers who made Friday night’s Multicultural Night such a success! I was sad to miss it, but when I got home from work on Friday I was greeted by two little girls with fevers, which turned out to be the flu. It is a good weekend to be at home with them snuggling! With the predicted cold and snowy weather over the next few days, please see information below about school closing and winter weather procedures. Please don’t hesitate to reach out if you have any questions or concerns! 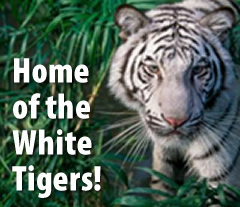 Stay warm, White Tigers! WINTER WEATHER… Follow @ipsd204 on Twitter and be first to get the most important weather-related updates from the district! When winter weather occurs, the safety and well-being of our students is always a top priority. District 204 follows a plan whenever there is consideration of a school closing due to weather conditions. Valentines and Friendship Cards… Students are invited to bring in Valentines or friendship cards for their classmates that will be distributed on Thursday, February 14th. Students that wish to participate should bring a card for every student in their class, but we ask that no food, candy or treats are sent in to be shared. Thank you! 5 Essentials Time! We need your feedback! Parents, students and teachers across Illinois will once again have an opportunity to participate in the annual statewide Illinois 5Essentials Survey. This survey is designed to generate a detailed picture of the inner workings of your child’s school as it relates to the important elements of school effectiveness. On behalf of the Illinois State Board of Education, the Illinois 5Essentials Survey will be administered online by the University of Chicago. All survey responses will be kept confidential. The state will provide survey results for individual schools only if a school has at least 20 percent of parents take the survey. If you have children attending more than one school, we ask that you complete the survey for each school. Type your school's name into the "School" field and select your school. This is our chance to let the State of Illinois hear about our great school community, so please set aside 10-15 mins. to complete the survey for Welch. We are currently at 16% and need 20% or more of our parents to complete the survey! Thank you!